 Protecting your privacy is important to SAIL Outdoors, Inc. (SAIL). The purpose of this Policy is to explain how we collect, use and disclose the personal information you may provide to us while using this website and is meant to comply with the Canadian federal and provincial privacy laws. This Policy does not apply to information about SAIL employees or its suppliers. SAIL provides this website subject to your compliance with the Terms and Conditions of use as well as this Policy. By accessing and using this website, you agree to be bound by the terms and conditions contained in these documents. If you do not agree to be bound by these terms and conditions, please do not access or use the features of this website. We reserve the right to change this Policy at any time. We will do so by posting a revised Policy on this website. The date of the version of this Policy is stated at the top of the page. Please review this Policy periodically. Your continued use of this website following the posting of changes to this Policy will mean that you accept those changes. We recommend that you print a copy of this Policy for your records. Your use of this website allows SAIL to automatically compile tracking information that may include the Internet Protocol (IP) address of your computer, the operating system you are using, the identity of your Internet service provider, the date and time you accessed this website, the previous website which allowed you to link with this website, and the content viewed and downloaded from our website. With most Internet browsers, you can erase cookies from your computer’s hard drive, block the creation of cookies or receive a warning before a cookie is stored, although doing so may affect your use of this website and your ability to access certain features of this website. Please refer to the Ads Setting and Network Advertising Initiative websites, and to your browser instructions or the help section of your browser to learn more about these functions. Your consent to the collection, use or disclosure of your personal information must be manifest, free and enlightened. It must be given for specific purposes. Depending on the nature and sensitivity of your personal information, your consent can be express and positive (express and positive consent may be oral, in writing or electronic) or implied (such as providing information voluntarily). Generally, SAIL will seek your consent for the collection, use or disclosure of your personal information at the time of collection, except as required or in cases authorized by law. Your consent can be withdrawn at any time, subject to legal and contractual restrictions and a reasonable notice. Please note that if you choose to withdraw your consent, SAIL may not be able to provide you with certain products or services. SAIL only collects personal information about you that is necessary for the purposes of establishing, managing and maintaining our relationship with you. For example, personal information may be collected when you register as a VIP customer, subscribe to receive our newsletter, participate in sweepstakes or contests, submit questions, comments or suggestions, take part in online surveys or product evaluations, contribute to our blog and participate in other online interactive activities, and may include, but is not restricted to, identification information such as your first and last name, your date of birth, your home address, your telephone number, your email address and your favourite store. Generally, we will obtain your personal information directly from you. However, we may also collect personal information about you from outside sources with your consent, without your consent if the law so authorizes. SAIL may also use your personal information to compile statistics. However, these statistics will not allow you to be identified. Your personal information shall not be used for purposes other than those described above except with your consent or as required or authorized by law. SAIL recognizes that, except in the cases and under the conditions described hereinafter, the communication of your personal information requires your consent when your personal information is communicated to a third person. Access within SAIL does not require your consent, but is strictly limited to the persons for whom such information is necessary for the performance of their functions and duties. SAIL may also share your personal information, without your consent, with agents, mandataries, consultants, data processors, service providers and other parties who require such information in connection with SAIL’s activities or to assist SAIL with administering our business relationship (assisting with promotions, providing technical assistance for the website, etc.). Such agents, mandataries, consultants, data processors, service providers and other parties will contractually guarantee to SAIL that they will use your personal information exclusively to provide specific services and that they will keep it confidential in accordance with this Policy and return it to SAIL once the service has been provided, without keeping any copy. SAIL may also, without your consent, communicate your personal information contained in a file it holds on you as authorized or required by law. In each situation where SAIL may disclose your personal information, it will endeavour to not disclose more personal information than is required under the circumstances. Please note that in the event that the third party to whom SAIL discloses personal information about you is located in a foreign jurisdiction, local laws may otherwise allow your personal information to be accessed by third parties without your consent. SAIL has put in place a series of security safeguards to protect your personal information against loss or theft, as well as unauthorized access, disclosure, copying, use or modification, regardless of the format in which the information is held. These security safeguards include physical measures, organizational measures and technological measures that are reasonable given the sensitivity of the information, the purposes for which it is to be used, the quantity and distribution of the information and the medium on which it is stored. SAIL also takes the necessary measures to ensure that all its managers and employees are trained on the contents of this Policy and understand that they are required to conform to it at all times. SAIL further recognizes that it is important to keep personal information accurate, complete and up-to-date, and takes reasonable steps to ensure the accuracy and completeness of the personal information it uses or discloses. However, you are responsible to inform SAIL of any significant changes in your personal information which may occur during the course of our business relationship. SAIL will destroy, erase or make anonymous your personal information that is no longer required to fulfill the identified purposes, legitimate business purposes or legislative requirements. You have the right to consult and obtain communication of your personal information which is contained in a file held by SAIL. You can also request that information which is inaccurate, incomplete or equivocal be rectified, and that information not justified by the purpose of the file be deleted. SAIL will respond to every request for access and rectification within 30 days of receiving the written request. In the event that SAIL cannot provide access to or rectify your personal information, it will inform you of the reasons why and will provide you with any recourse available.